What Happens If My Spouse Initiates Divorce Proceedings In Another Country After I Initiate Divorce Proceedings In Singapore? Families and individuals move with more relative ease across borders today. Geographical movements in and out of various jurisdictions give rise to situations where more than one territorial law apply to cases with “international connections”. “Connecting factors” such as citizenship and places of marriage can form a logical basis for choices of governing law. Private international law provides for appropriate governing laws in a principled and consistent manner and “connecting factors” provide rational premises for the application of a system of law for divorce proceedings. “Domicile” is a principal connecting factor used in common law jurisdictions for the determination of questions such as those relating to the formation of marriage, legitimacy, adoption, succession and jurisdiction in divorce and nullity of marriage. “Residence” is another connecting factor which is useful in determining the matrimonial jurisdiction of the court. “Domicile” has been described as one’s “permanent home”. Thus, the domicile of a person is that country in which he either has or is deemed by law to have his permanent home. The notion which lies at the root of this concept is that person must intend to reside in that country permanently or indefinitely. The idea that the law of one’s “home” applies to matters affecting one’s personal status is appealing. It is principled that one’s status and rights be governed by the legal system of the jurisdiction to which one “belongs”. However, its success in achieving fairness depends on ensuring that the concept of domicile truly represents one’s home and the place one is most substantially connected to. The law makes reference to the “domicile of origin”, “domicile of dependency” and “domicile of choice”. The domicile of origin is assigned at birth. It is the domicile of one’s father at the time of birth. The domicile of origin never changes; it is fixed at birth and cannot be changed by any future event. Children take on their father’s domicile throughout the period of minority; this domicile is known as the domicile of dependency. A person is able to choose a domicile of choice upon reaching the age of maturity. Residence may be an appropriate connecting factor for some legal principles and proceedings such as constituting a basis for the matrimonial jurisdiction of the court, as a requirement for the application of adoption of a child and as a basis for returning an abducted child under the Hague Convention on the Civil Aspects of International Abduction. A court may also exercise guardianship jurisdiction over a child who is not physically present but ordinarily resident in the jurisdiction. Residence has also been discussed earlier as one of the requisites in the acquisition of a domicile of choice. In general, “residence” requires living in a country with a degree of settled purpose and continuity. It is not necessary that a person must live there continuously for a certain number of days, provided that there is sufficient degree of settled purpose or permanence. It is possible for a person to be ordinarily or habitually resident in more than one place at the same time. If parties see Singapore as their permanent home or have been living in Singapore for a number of years, then the Family Justice Courts may have jurisdiction to hear the divorce matter. In addition, if you were married in Singapore or have registered your overseas marriage in Singapore, the court may have jurisdiction to hear your matter. A stay of proceedings is a ruling by the Singapore court halting further legal process in a trial or other legal proceeding. The court can subsequently lift the stay and resume proceedings based on events taking place after the stay is ordered. A stay can be granted on a variety of grounds, and a common ground is that of forum non conveniens. Forum non conveniens is a legal doctrine whereby the court may refuse to take jurisdiction over matters where there is a more appropriate forum available to the parties. This will be illustrated further subsequently. In order to justify a stay on the ground of forum non conveniens, two conditions must be satisfied. First, the Defendant must satisfy the court that there is another forum to whose jurisdiction he is amenable in which justice can be done between the parties at substantially less inconvenience or expense. Second, the stay must not deprive the Plaintiff of a legitimate personal or juridical advantage which would be available to him if he invoked the jurisdiction of the court. The court will look first to see what factors there are which point to the direction of another forum. These are factors indicating that justice can be done in the other forum at “substantially less inconvenience or expense”. This is the concept of the “natural forum”, being “that with which the action had the most real and substantial connection” – connecting factors like convenience or expense, law governing the matter and the places where parties respectively resides or carry on business. If the court decides at that stage that there is no other available forum which is clearly more appropriate for the trial of the action, it will ordinarily, refuse a stay. If the Plaintiff alleges that he might be prejudiced and suffer an injustice in the forum that the Defendant suggests, the Plaintiff has to prove the courts so. Can I initiate Divorce Proceedings in Singapore if there is already a Foreign Judgement? 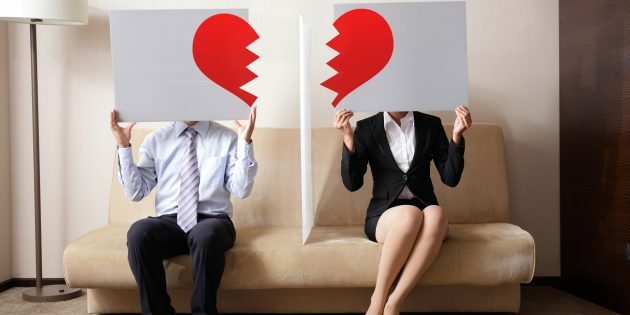 The Singapore Courts will recognize a foreign judgement of divorce where the foreign court has some connection to the marriage or either or both of the parties. The Courts may refuse to recognize the divorce as valid if the foreign court has little connection with the marriage. Additionally, if the marriage has a strong connection to Singapore, one party could ask the court to prevent the other party from filing for divorce in another country. However, if a marriage has been validly dissolved in another country, it cannot be dissolved again in Singapore. This means that if a couple gets divorced in a foreign country, the divorce proceedings cannot be repeated in Singapore. 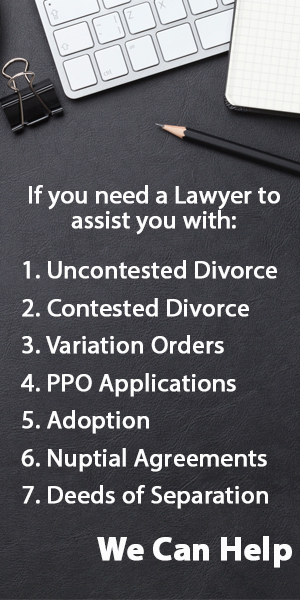 Hire us to handle your divorce matter. We answer all your queries within 24 hours.